[sociallocker id=”20254″]When it comes to the flowers themselves, there are now a lot of impressive blooms to choose from. 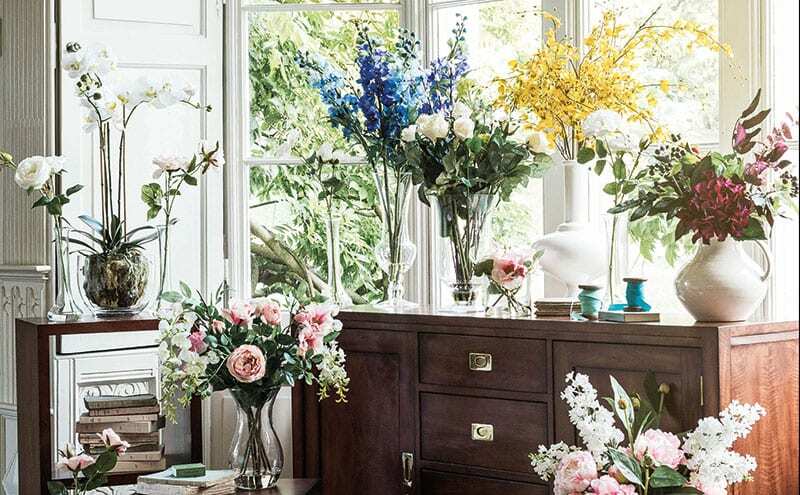 “If you’re new to flower arranging, begin by keeping things simple and build your display gradually,” says Rebecca. “Textured flowers such as blowsy hydrangeas or peonies are a good place to start as they provide structural base and work well on their own.” Detail is key; the team at Neptune paint the flowers by hand so that they have complete control over the design of each petal and leaf. 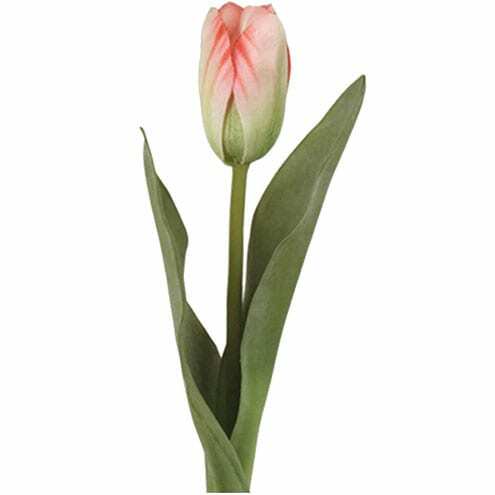 “On the heads watch out for veins showing on the petal which indicates a high quality,” says Berta. 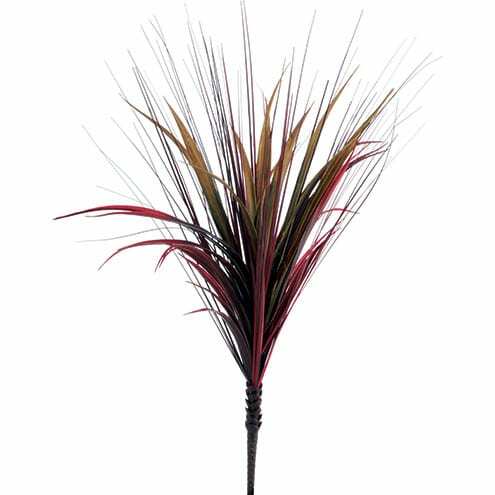 Chatterpie iris bunch, £134, Willow Crossley for OKA. 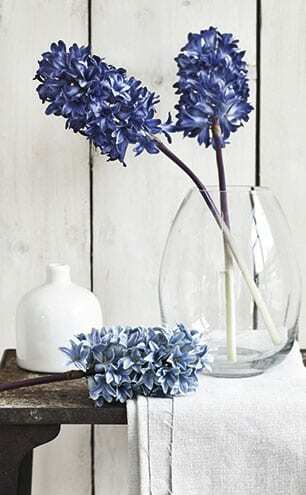 Dark blue hyacinth stems, £15 each, Neptune. 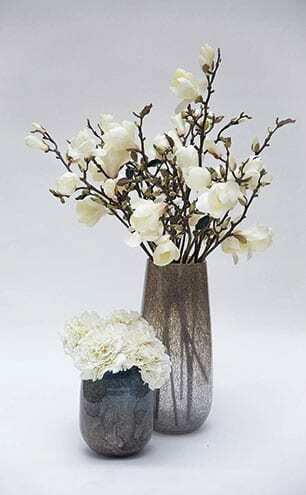 Bloomed and Budding white magnolia stems in bubble glass vase, from £395; white hydrangeas in duo tone thick glass vase, from £195, Lifelike Flowers. Hydrangea, tall white, £14; hydrangea tall green, £14; simple eucalyptus, £6; aspen leaf, £7; all Brissi. Remember to factor in greenery when arranging them. “The main rule we follow is ‘strong stems first, branches and thick greenery,” says Rebecca. “By resting them on the outer edge of your vase you create a support network for the more delicate ones so they can simply be dropped in.” There is no strict guideline here. “I tend to go through the season with mixing twigs, branches, seasonal flowers and room scents to great effect,” says Angela. 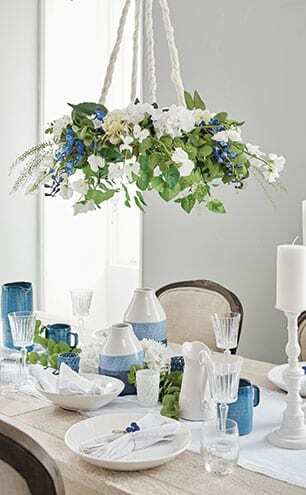 If you’re new to the world of faux flowers, then you might want to consult those in the know. “Even if you have experience arranging fresh flowers yourself we recommend using professionals as handling and cutting is a completely different experience to working with fresh flowers,” says Berta. Positioning of the arrangement in unusual places is one of the perks of going faux – “dark corners, bathrooms and under spotlights,” notes Berta. However, there are pitfalls of using fake flowers. 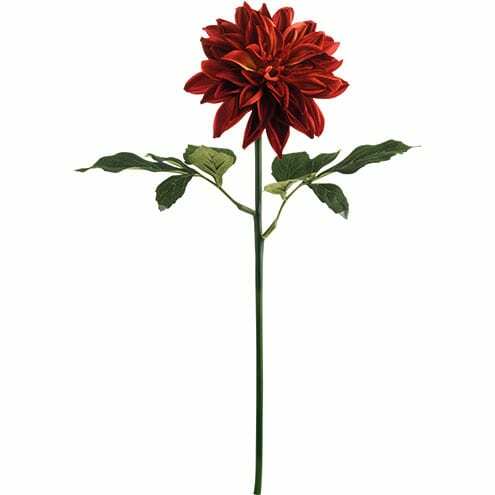 They can gather dust (Rebecca suggests using a hairdryer for this) and can be pricy, although not as expensive as fresh blooms. 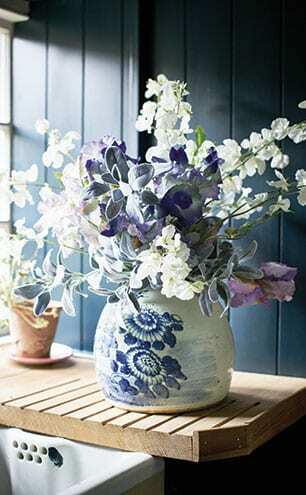 For most people, flowers are essential for creating an atmosphere in the home. 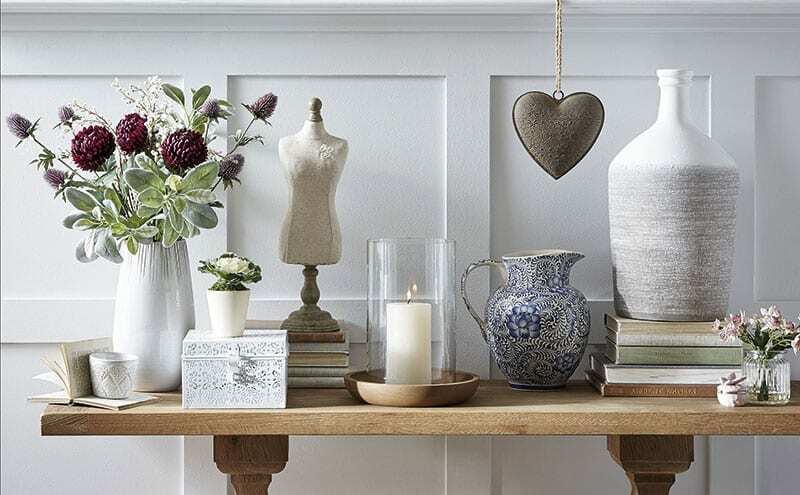 “Adding colour and texture with flowers is as important to me as getting the right colour of cushion or lampshade,” says Angela.